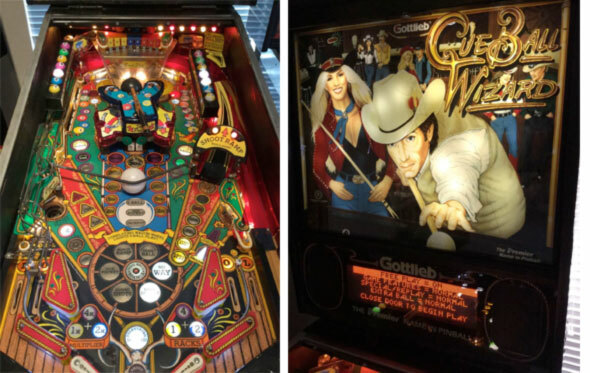 Check out these rare Cue Ball Wizard Pinball Machines For Sale by Gottlieb. You will also find parts and accessories including the Cue Ball Prop, Cue Stick, Ramps, Flyer, Sound Board, Flipper Rebuild Kit, Fuse Kit, CPU Rom Chip Set, Translite, Playfield Plastics, Target Set, Mods, and Custom Target Decals. What kind of cow pie shot was that?